Woodworkers! Does your passion for creation exceed your current ability? Beginner woodworkers face a large learning curve and basic instruction is hard to find. We are still on this path and can save you a lot of time. Visit our PROJECTS section for updates on what we're building. Weekly project updates are now posted over on our West Hills Wood Facebook page. 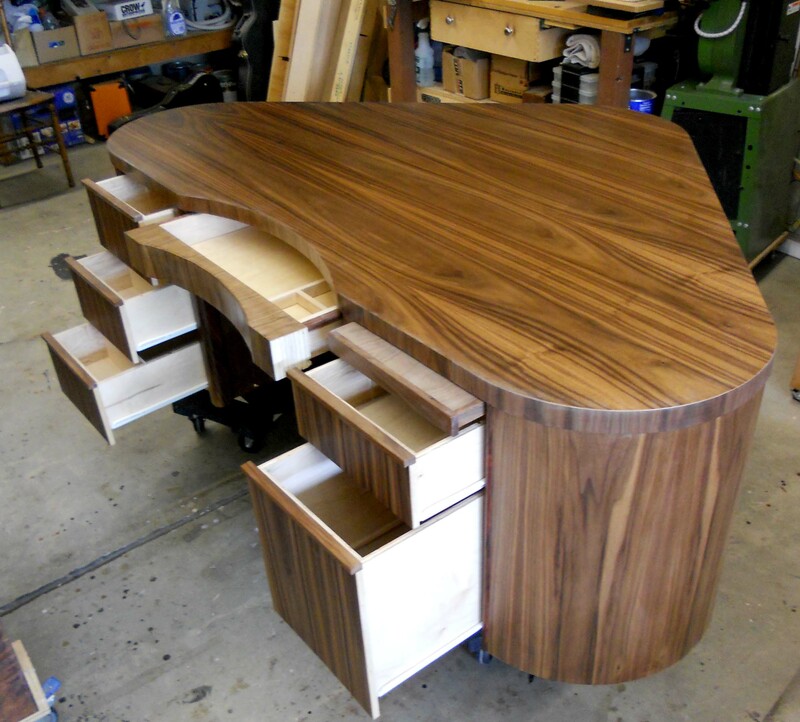 The internet is loaded with sites and information for people interested in woodworking. But the information on most sites runs right past most beginners. Have you noticed that all their joints are tight, all their cuts are straight, and all their finishes are perfect? As true beginners in the world of woodworking, we searched the internet for beginner woodworking ideas, tips, and help but were quickly overwhelmed by sites far above our level. "Keep practicing" they all say. Here at West Hills Wood, we'll show you our practice, talk us both through a project, and laugh at our results together as we work toward a better woodworking project. The information provided here is specific, clear, and complete. Our collection of tools when we started reflected ten years worth of home ownership, consisting of a hammer or two, circular saw, handful of screwdrivers, power drill, and cordless drill. And we had a fair amount of completed projects around the house. As our home projects grew, so did our toolbox. As out confidence grew, we'd add another tool and complete another project. We needed a guitar stand, music stand, and book shelf. So we built them and discovered we liked both process and result. You will no doubt encounter many of the same beginner woodworking adventures we have. Great! We'll learn from it and move on together. Pros and more serious hobbyists might shake their heads at the stories, projects, and advice found on these pages. But they'll probably also smile when recalling their days of being beginner woodworkers. Enjoy the journey, you will never be this bad at it again. We have been at this for several years now and learned quite a lot in the interim. Look for more articles, projects, and videos coming soon. Our new YouTube channel is here - complete with West Hills Wood videos! West Hills Wood now offers a free Beginner Woodworking Video series to address questions asked by people wanting to get started with wood working. Gathering the beginner woodworking tools needed to perform a basic task is a daunting task. West Hills Wood has some solutions. Eventually a beginning woodworker will need more tools for woodworking. Add a sander or two, some extra hands, or clamps. West Hills Wood does our best to not buy new tools until they are needed. Here's a few we needed and bought recently. West Hills Wood tackles a ukulele build project and shows you how to do it yourself. West Hills Wood now offers this free music stand plan for woodworkers. Unique wood gifts for sale at West Hills Wood. Featuring California walnut and pecan hardwoods, these items make wonderful gifts. This simple guitar rest plan will enable you to build your own guitar rest. The Rockin Stool is a West Hills Wood exclusive. Combining a sturdy, cushioned stool with a Fender amplifier solves the problem of limited stage or living room space when playing or practicing. The Rockin' Stool is a West hills wood exclusive. We combined a wood bar stool with a Fender guitar amplifier to make some beautiful music. West Hills Wood uses basic drawings to develop beginner woodworking plans. We've had good success in selling our projects and you can too! 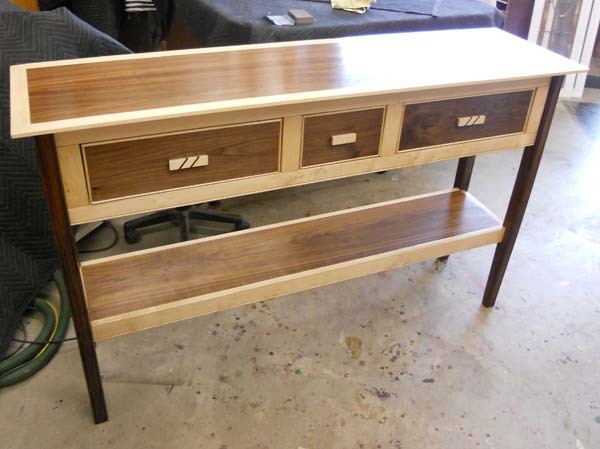 West Hills Wood has your free beginner woodworking project on site. While not for building fine quality furniture, they will teach a few basic lessons while rewarding the builder with a useful piece. West Hills Wood has recently rented a formal space for the shop. Here we show you how our beginner woodshop setup looks in action. Beginning woodworkers face a discouraging learning curve. Let West Hills Wood be your guide on the path to beginner woodworking philosophy. Sometimes a restoration project comes our way at West Hills Wood. It's usually something old and interesting. Ear Plugs are an essential piece of wood working equipment. Etymotic makes earplugs you will actually use. Contact West Hills Wood for more information, more photos of projects, or send us your images. 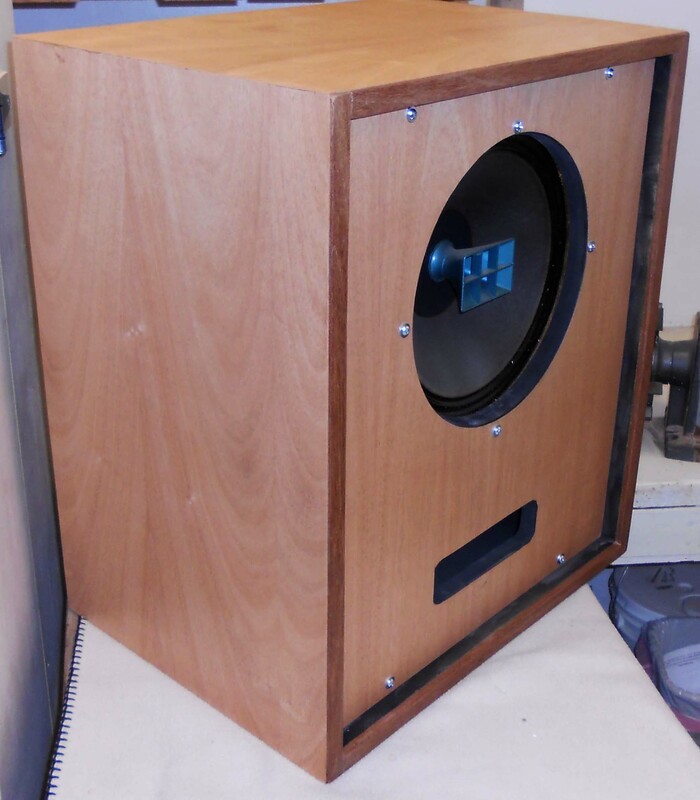 West Hills Wood is created by Harold Osmer, a fast learning beginning woodworker. Click here to learn more about West Hills Wood.